In November, North Carolina-headquartered First Citizens announced a major sponsorship of Teen Cancer America. As part of this effort, the bank asked Daltrey last year to record this new version of the classic Pete Townshend song to serve as the centerpiece of its initiative. 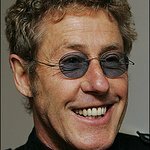 Daltrey’s version of “Let My Love Open The Door” is featured in television and radio commercials encouraging support of Teen Cancer America. The commercials, produced by First Citizens, began airing during the holidays in the bank’s North Carolina and South Carolina markets. Both the song and television ad can be found at LetMyLoveOpenTheDoor.com. 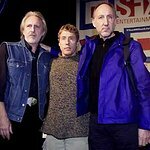 Daltrey is a spokesman for and a driving force behind Teen Cancer America, which he and Townshend helped found after more than a decade of working with the Teenage Cancer Trust in the United Kingdom. Every year, almost 11,000 young people in the United States between the ages of 13 and 25 are diagnosed with the disease. Most of them receive their care at units designed for and populated by either young children or much older people. Teen Cancer America is talking with major medical centers in North Carolina and South Carolina about establishing teen-focused cancer units or programs. To date, Teen Cancer America has partnered with more than 10 major cancer centers across the United States to build specialized, teen- and young adult-friendly inpatient and outpatient cancer care facilities and programs. Four Teen Cancer America-branded facilities are up and running in the U.S. today. First Citizens’ financial commitment to Teen Cancer America includes contributions to the nonprofit and to hospitals in key markets that agree to establish Teen Cancer America units. This support is in addition to the advertising in North and South Carolina and social media, marketing and public relations across the bank’s 18-state franchise. First Citizens Bank is the official Southeastern U.S. corporate sponsor of Teen Cancer America. The bank’s “Let My Love Open The Door” effort with Teen Cancer America marks the company’s largest overall corporate philanthropic initiative. First Citizens’ advertising agency, Factory, and its founder Mark Lantz created and led development of the “Let My Love Open The Door” concept for the initiative. The Detroit-based agency produced the television commercial along with radio, print and other marketing materials. Sally Webb, a founding member of Teen Cancer America’s Board of Directors and CEO of The Special Event Company (TSEC) based in Cary, N.C., helped bring together the nonprofit, Daltrey and First Citizens Bank. TSEC is the event partner of Teen Cancer America, assisting with its 2012 launch in Washington D.C., and other national events. For more information, visit LetMyLoveOpenTheDoor.com, use #LetMyLoveOpenTheDoor or stop by a local First Citizens Bank location.